The patient is asked to lie still on an imaging bed. The gamma camera or SPECT/CT camera is positioned above and below the area/s of interest. The camera detects the signals​ (gamma rays) from the radiation that is emitted from the patient’s body. Images are obtained of the distribution within the body over a period of time. The scan may take between 10 and 120 minutes, depending on the type of study. The patient is required to lie still for the duration of the scan. Deliver or fax the form (ext. 80869) to the Nuclear Medicine Department. Nuclear Medicine Requisition form QF00287. Post or fax (03 3640 869) the form to the Nuclear Medicine Department. Nuclear Medicine Request Form – available on the CDHB HealthPathways website http://cdhb.healthpathways.org.nz/referral/Nuclear-Medicine-Request-Form.pdf. Post or fax the request to the Nuclear Medicine Department or send via GP Referrals. ERMS referral. Healthpathways – Investigations – Nuclear Medicine – Request. Select: Bone Isotope Scan, Radionuclide Thyroid Scanor Nuclear Medicine Referral for other scan types. For clinical criteria, refer to Bone Pain Pathway or Thyroid Pathway. Contact telephone numbers (include cell for txt reminder). Any disabilities, mobility or cognitive problems, special needs eg. interpreter, hoist etc. For URGENT scans during working hours (0800 – 1630), phone the Scanning room (03 3640 867, ext. 80867) after faxing or sending an electronic referral. Urgent requests are performed as soon as possible. All efforts are made to scan patients within the requested time frames indicated on the referrals. Routine appointments are generally booked and sent out within a week. Some types of scans are grouped together and others are only available on certain days. Some specialised scans are not routinely available, contact Nuclear Medicine for advice before ordering. ​Positron Emission Tomography (PET) is used to demonstrate the metabolic activity of organs and other tissues such as tumours. A radioactive compound called 18FDG (fluorodeoxyglucose) is injected into the patient and the radioactive emissions are measured by a PET/CT scanner. PET is considered particularly effective in identifying whether certain types of cancers are present, if they have spread and if the patient is responding to treatment. PET/CT scan reports and images are available on the CRG & CDHB PACS; reports are also available on éclair & CIS. The Radiopharmacy is an integral part of the Nuclear Medicine Department that deals largely with the preparation, dispensing and quality control of radio-pharmaceuticals. Most of the doses used in diagnostic imaging use the radioactive element Technetium-99m which is obtained from a small Molybdenum-99 Generator, delivered to the department at the start of each week. Technetium is often mixed with a non-radioactive compound in order to localise the radiopharmaceutical in a specific area in the body. Other types of radioactive compounds may be used for specialised scans or therapies. They must be used within a set period of time, which is dependant on the radioactive half-life or decay time (the time it takes for a radioactive substance to loose half its radioactivity). Each type of Nuclear Medicine procedure will have a prescribed radiopharmaceutical and radioactive dose, measured in MBq. The amount of radioactivity is kept as low as possible and is individually calculated for children based on weight. The dose is usually administered by IV injection into a vein in the arm (pictured) but can also be given subcutanously (Sentinal Lymph Node), orally (Gastric Emptying) or breathed in as a gas (Lung Ventilation Scan). The short 6-hour half-life of Technetium means that the radiopharmaceutical will clear rapidly from the body. Some radiopharmacuticals may also be cleared through the urine or excreted in breast milk. For some scans, adults are advised to avoid close, continuous, contact with children for the rest of the day (refer to appointment letter). It is important for us to know if you are Pregnant or Breastfeeding. In Nuclear Medicine every precaution is taken. Only small quantities are used for diagnosis. The radioactive compounds used in diagnostic tests are quickly eliminated from the body. Imaging services are IANZ Accredited which means that high standards for quality and safety are set and maintained. The department is also accredited with theANZSNM. The Office of Radiation Safety is a Specialist Unit within the NZ Ministry of Health responsible for regulating the use of ionising radiation. Radioiodine works by destroying a large number of thyroid cells. The treatment is given in a drink of water or as a capsule – like an antibiotic capsule, the radioiodine has no taste. Occasionally more than one treatment is required. Radioiodine is a very safe and effective treatment that has been used since the 1940’s. Patients will be radioactive for a short period following therapy and will need to observe some simple measures to reduce radiation exposure to other people during this time. Most patients develop hypothyroidism (thyroid underactivity) following treatment. Close follow-up with blood tests is necessary to detect this so that replacement thyroid hormone (thyroxine) can be started early. Patients are referred to the Thyroid Endocrine Physicians for treatment. The Physicians will discuss the indications and outcome fully and give radiation protection instructions. For Canterbury patients, follow-up will be arranged at the Thyroid Clinic. Strontium-89 behaves like calcium in the body, when injected it will collect in the bone metastases (secondaries). These are areas of bone which are absorbing extra calcium and are often painful. It will then deliver radiation directly to the affected area, giving relief from pain. The effects of Strontium-89 within the body are limited to the small area where it concentrates. It cannot cause any harm to any other people by bodily contact. However during the first few days after injection, some strontium-89 will be present in the blood and urine so the patient will be instructed to observe rigorous hygiene during this time. Patients are referred by an Oncologist licensed to give this therapy. They will discuss the indications and outcome fully and give radiation protection instructions. Nuclear Medicine Department staff will arrange the Strontium-89 delivery, dispense the dose and organise the patient appointment. Following intravenous injection, the radionuclide Phosphorus-32 selectively concentrates in the rapidly dividing cells of the bone marrow and in cortical bone. The radiation delivered suppresses the growth of these cells which are dividing more rapidly than normal. The effects of Phosphorus-32 within the body are limited to the areas where it concentrates. It cannot cause any harm to any other people by bodily contact. However during the first few days after injection, some phosphorus-32 will be present in the blood and urine so the patient will be instructed to observe rigorous hygiene during this time. Patients are referred by a Haematologist licensed to give this therapy. They will discuss the indications and outcome fully and give radiation protection instructions. Nuclear Medicine Department staff will arrange the Phosphorus-32 delivery, dispense the dose and organise the patient appointment. 99mTc-DISIDA evaluates hepatocellular function​, gallbladder function and patency of the Biliary system by tracing the production and flow of bile from the liver, through the Biliary system into the small intestine. Although ultrasound is the preferred imaging investigation for the diagnosis of acute cholecystitis, biliary scanning has high sensitivity and specificity for diagnosing this condition. If the gallbladder is not visualised this may indicate cystic duct obstruction and supports the diagnosis of acute cholecystitis. False negatives can occur in acalculus cholecystitis (1-2% of cases), and false positives can be seen with chronic cholecystitis, pancreatitis, and prolonged parenteral nutrition. In some cases IV morphine may need to be given to enhance gallbladder filling. Biliary scans can also show gall bladder filling and emptying as a measure of gall bladder ejection fraction in patients with episodes of biliary type pain and non-diagnostic ultrasound examinations. Assessment of gall bladder function with CCK or Ensure. Assessment of patients with post cholecystectomy pain syndrome and suspected Sphincter of Oddi Dysfunction SOD (requires IV morphine administration). Distinguishing Biliary Atresia from hepatitis in neonates with jaundice. Distinguishing Focal Nodular Hyperplasia from other hepatic lesions. Opiate drugs must be discontinued for 6 – 12 hours. Infants with suspected biliary atresia should be pre-treated with 5mg/kg of oral phenobarbitone for 3-5 days prior to the scan. Sequential images of the liver and abdomen are obtained for 1 – 2.5 hours. Patients with suspected S.O.D. may require a second scan without morphine at least 2 days after the scan with morphine. Each scan takes 90 minutes. Patients with suspected gall bladder dysfunction are given a 30 minute IV infusion of CCK after the gall bladder has filled. Ensure Plus (a liquid food drink) may sometimes be given instead of the CCK. The whole procedure takes approx. 2.5 hours. Neonates with suspected Biliary Atresia may require additional views up to 24 hours, depending on the initial findings. Bone agents such as HDP localise in regions of increased bone blood flow and increased bone turnover. Almost all significant pathologic processes cause alteration in these physiological parameters, causing increased or occasionally decreased tracer localisation. Combining the delayed scan with blood flow and pool study and/or SPECT/CT imaging usually enables a definite aetiological diagnosis to be made.​SPECT/CT provides better classification of indeterminate non-diagnostic bone lesions and it enables precise anatomical localization of bone turnover abnormalities. Bone scanning is a well-established technique, and is one of the most reliable, sensitive and valuable procedures in nuclear medicine. The scan can detect abnormalities weeks to months before routine skeletal x-rays. It is particularly useful for assessing patients with pain suspected of bony origin, and evaluating sports injuries. It remains the most cost-effective imaging procedure for assessing skeletal metastatic burden. Detection, evaluation and follow up of skeletal metastases. Detection, evaluation and follow up of primary bone tumours. Early diagnosis of osteomyelitis and infected joints. Evaluation of hip and knee prostheses and degenerative joint disease. Diagnosis of stress fractures or occult fractures. Diagnosis of avascular necrosis, particularly when the condition is post-traumatic. Establishment of the extent and activity of Paget’s disease. Evaluation of elevated alkaline phosphatase. Evaluation of bone pain of uncertain cause. Diagnosis of enthesopathy, bursitis and reflex sympathetic dystrophy. Patients need to have a good fluid load between injection and scanning (6 glasses of fluid). Scanning is performed 2 – 4 hours after IV injection of 99mTc-HDP and takes approximately 45 minutes. A 10 minute scan may also be performed at the time of injection to determine blood flow to a region of interest. About Cerebral Blood Flow Scans..
99mTc-HMPAO is a lipophyllic complex that accumulates in the brain proportional to regional perfusion. The SPECT images reflects regional cerebral uptake at the time of injection. In Alzheimers, one classically sees bilateral decreased CBF in the temporal and parietal lobes. A correlation is seen between the severity of these defects and the severity of the patient’s dementia. Lewy Body Dementia (LBD) is the most common cause of dementia after Alzeimers and vascular dementia and is characterised by decreased CBF in the occipital lobe. Frontal Temporal Dementia (FTD) is characterised by decreased frontal/temporal lobe perfusion. Multi infarct dementia is characterised clinically by multiple cerebral infacts that occur sporadically and produce a step-wise deteriation in function. 99mTc-HMPAO findings, which support this diagnosis, include multiple, bilateral, and randomly distributed cortical perfusion defects that follow vascular territories. The basal ganglia may also be involved (spared in Alzheimer’s). To distinguish frontal lobe dementia patterns from parieto-temporal lobe disease. The presence of sedating medications at the time of injection may alter the distribution of 99mTc-HMPAO. A list of the patient’s medications will be required by Nuclear Medicine staff, who will advise which, if any, need to be withheld. If problems with cooperation are envisaged, this should be noted on the referral. If anxiolytic or sedating medication is required (administered at least 15 minutes after the radiopharmaceutical injection), this must be prescribed by the referring doctor or GP and accompany the patient. On arrival, an IV line is inserted. The patient is left lying comfortably in a dim, quiet room for about 20 minutes, after which 99mTc-HMPAO is injected. SPECT/CT imaging takes place about 30-90 minutes later and takes about 30 minutes. The patient will need to keep their head perfectly still during this time. Parkinson’s Disease and several other syndromes are characterised by the degeneration of dopaminergic cells, resulting in the loss of Dopamine Transporters (DATs) in the striatum. 99mTc-TroDAT binds to the dopamine transporter, its uptake is significantly reduced in the striatum of patients with Parkinson’s Disease. ​DAT imaging is helpful to differentiate tremor disorders from idiopathic Parkinson’s Disease. DAT imaging can also help differentiate Dementia with Lewy Bodies from Alzheimer’s. ​​​​Medications that interfere with DAT binding are stopped after consultation with the referring Physician. If problems with cooperation are envisaged, this should be noted on the referral. If anxiolytic or sedating medication is required this must be prescribed by the referring doctor or GP and accompany the patient. 99mTc-TroDAT is administered IV, 4 hours before the scan. ​SPECT/CT imaging takes about 30 minutes. The patient will need to keep their head perfectly still during this time. About Gastric Emptying Scans ..
Gastric emptying studies are performed to evaluate patients with symptoms that suggest an alteration of gastric emptying and/or motility. They provide a physiologic, noninvasive and quantitative measurement of gastric emptying. Gastroparesis is the term used to describe non-obstructed causes of delayed gastric emptying. Diabetes mellitus and gastric surgery are the two most common causes of chronic gastroparesis. Other causes include acid-peptic disease, gastritis, chronic pseudo-obstruction either primary or secondary to neuropathies, muscular or connective tissue diseases, epigastric disorders and gastric dysrhythmia. Drugs and hormones may also be responsible for delayed gastric emptying. Accelerated gastric emptying is usually iatrogenic after gastric surgical procedures such as a vagotomy. After a vagotomy there may be decreased ‘receptive relaxation’ of the fundus which permits food to more rapidly exit the stomach, despite the decreased motility. Patients with duodenal ulcer, the Zollinger-Ellison syndrome, malabsorption or hypothyroidism may also have rapid gastric emptying. Patients with dumping syndrome show a radid passage of solid and liquid meal into the small bowel, with minimal initial retention in the proximal stomach. Suspected slow or rapid gastric emptying. The study is usually performed about 8.30am after an overnight fast. Patients should not smoke or have tea, coffee, caffeine drinks or alcohol for 24 hours prior to the study. If the patient is diabetic then a blood glucose level needs to be completed before eating. ​ A standard meal of scrambled egg on toast and milk is given to the patient. The egg is pre-labelled with a technetium colloid and the meal is standardised for fat, carbohydrate, protein and total calorie content. Immediately after completeing the meal a 2 minute image is taken. Further images are taken at 30 minutes and 1, 2, 3, 4 hours later. The patient must remain in the department and not have anything more to eat or drink until the study is complete. The gastric clearance half-life of the meal is calculated and the % emptying/retention. About Gastro-Intestinal Bleeding Scans .. The study should be performed while the patient is actively bleeding. Although the test is sensitive and can detect intermittent bleeding, it may not always localise the exact anatomical site. SPECT/CT can be used to provide anatomical localisation when bleeding is detected. To detect sites of active GI bleeding prior to angiography and/or surgery. The patient’s red blood cells are labelled with a radiotracer, this takes about 40 minutes. Images are acquired for approximately 1 hour and then at intervals up to 24 hours after injection, or until bleeding is detected. Sites of active bleeding can be identified on serial views of the abdomen and pelvis. Gated heart imaging (MUGA scan) is a well-established, relatively inexpensive and accurate method for evaluating cardiac size, wall motion and function. The test should not be used for direct evaluation of valve motion, or estimating myocardial thickness. Cardiac Echo Studies are the procedure of choice for assessing these parameters. The patient’s red blood cells are labelled with a radiotracer. The camera is centred over the cardiac blood pool and imaging of the heart is synchronised with the patient’s ECG. Scan time is approximately 30 minutes, the entire procedure takes approximately 1 hour. About GFR (Glomerular Filtration Rate) .. The radiopharmaceutical 99mTc-DTPA is ideal for measuring GFR because it is neither reabsorbed nor metabolised by the kidneys and only excreted from the kidney through glomerular filtration. Following IV injection of a known amount of radiopharmaceutical, three blood samples are collected at approximately 2-hourly intervals. The GFR is calculated by counting the radioactivity emitted from the blood samples (plasma clearance over time). Clinical situations where an accurate GFR measurement is required. It is the responsibility of the department/ ward ordering the test to inform the patient. NO IV fluids or diuretics from 6 hours before, or during the procedure. NO Nuclear Medicine scans in the past 3 days or PET scans within 48 hours. NO CT or MRI IV contrast either in the past 5 days or during the procedure. The GFR test is usually performed on Wednesdays and Thursdays. Medical staff are advised to phone ext. 80867 to book the test, then send a requisition (include the test date and weight for patients >18yr). Doses are prepared in the radiopharmacy and are ready to pick up at 08:45am. A GFR Instruction Sheet and Worksheet will accompany each dose. Injection of the dose is the responsibility of the requesting department/ ward. It is important to allow time to gain venous access as the dose must be injected before 09:30. If a dual lumen Hickman is used; withdraw heparin from the white lumen and flush with 5ml saline. Remove the PPD, inject the dose directly though the lumen and flush syringe with blood x 2 to ensure dose is completely through the lumen. Flush with 2 x 10ml saline using pulsatile flush and heplock under pressure as normal. Keep the original needle and syringe along with any butterfly/ luer, swabs, saline flushes used during the injection and return to the Nuclear Medicine Department. If any of the dose is spilt or tissued, the GFR calculation will not be accurate. If this is suspected, phone the department immediately to receive advice on whether or not to continue – the patient or items will need to be monitored by Nuclear Medicine staff. Record the exact injection time on the Worksheet along with the patient’s height and weight; these figures are used to correct the GFR result for body surface area. Withdraw blood samples at approximately 2, 4 and 6 hours after the injection of the radioisotope. Use 10ml green top heparinised tubes and fill each tube to the same level. Full tube for adults, at least 5ml for children. Collect the blood samples from another arm or at least a different vein from the injection site. If using a Hickman, take all samples from the red lumen and discard the first 5 ml of blood before sampling. Note the exact time of each sampling on the worksheet. Sampling does not have to be exactly on the hour but the precise time of sampling must be noted – use the same clock/watch if possible. Ensure the last sample is taken about 3pm and return all samples immediately to the Nuclear Medicine Department for processing by 3:15pm. The radiopharmaceutical 99mTc-Scintimun’ used for Infection Imaging, contains an antibody which targets granulocytes (a type of white blood cell involved in inflammation and fighting infection). SPECT/CT is of value in distinguishing physiological uptake of labelled white blood cells from infectious processes and defining the precise anatomical location of infection. The major limitations of white cell scanning are poor sensitivity for chronic inflammations and/or abscesses, and localisation of WBCs in sterile necrotic tissue. Detection and localisation of acute inflammation/infection eg. vascular graft infection, FUO (fever of unknown origin). Use in conjunction with other appropriate imaging modalities for determining the location of inflammation/infection in peripheral bone and in adults with suspected osteomyelitis. The procedure is contraindicated if the patient has a known allergy to mouse antibodies. Medications reducing inflammation; corticosteroids and antibiotics may affect the scan results. If evaluating prosthetic joints, a bone scan is usually performed first. After IV injection of 99mTc-Scintimun, patients need to have a good fluid load between injection and scanning (5 glasses of fluid). Labelled heat denatured red blood cells are avidly sequestered by the spleen, allowing for selective splenic imaging. Splenic tissue is easily identified as an area of high RBC activity or sequestration. Correlation of anatomical (CT or US) and functional spleen-specific images will often be necessary in many cases to determine the nature of left upper quadrant mass. Though accessory spleens may have been seeded anywhere in the abdomen, most of them are located in the left upper quadrant. Identification of accessory splenic tissue following splenectomy. Confirmation of questionable abnormalities of the spleen eg. trauma. On arrival, a blood sample is taken, the 99mTc-heat damaged RBC are injected IV about 45 minutes later. Imaging of the abdomen and pelvis takes place after about 30 minutes. SPECT/CT is used to precisely localize splenic tissue. Liver haemangiomas are probably the most common benign tumour of the liver. Because of their prevalence, they are often discovered during CT or ultrasound examination of the abdomen. Accurate diagnosis is essential because inadvertent biopsy of an haemangioma can lead to significant haemorrhage. Detection of haemangiomas using the 99mTc-RBC technique is virtually 100% accurate for lesions greater than 2cm, however very small lesions (1cm) may not be detected. The haemangioma appears as an area of marked RBC pooling within the liver. To confirm a suspected haemangioma seen on CT scan. It is preferable the scan is not done within 4 days of a barium meal or CT contrast of the abdomen. Although CTPA has become the preferred investigation for suspected PTE, in most centres, lung scanning is still a useful test. It is more sensitive than CTPA but not as specific. The lung scan is most useful when the CXR is normal and there is no evidence of COPD. Lung VQ scanning should be considered when CTPA is negative or indeterminate and there is a high clinical likelihood, and when there is a contraindication to CTPA (impaired renal function or iodine allergy). It is the recommended investigation for young women and in women who are pregnant or breastfeeding as there is a lower radiation dose to the breasts from a VQ scan compared to CTPA. Investigations for Suspected PE in Pregnancy – CDHB Blue Book. The patient should have had a D-dimer test and chest x-ray within 24 hours. The ventilation (V) scan is performed first, this involves breathing in radioactive Technegas. 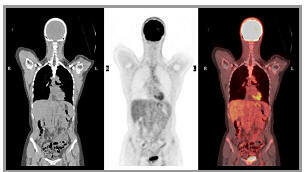 SPECT(CT) images are taken of the distribution of radioactive gas in the lungs. The perfusion (Q) scan is then performed. This involves the I.V. administration of small (10 microns) radiolabelled particles of Macro-Aggregated Albumin (MAA) which are then trapped in the lung capillary bed. SPECT(CT) images are taken of the distribution of the particles in the lungs, which is directly proportioned to regional perfusion. The procedure takes about 45 minutes. A mismatch between the ventilation and perfusion images indicates PE. About Lymphoscintigraphy & Sentinel Lymph Nodes..
Small radiolabelled colloidal particles are injected into lymphatic rich epidermal areas. The particles are small enough to move freely in lymph vessels and are temporarily trapped in nodes. Lymphoscintigraphy is a technique used to identify the Sentinel Lymph Node (SLN), this is the first node that drains from a tumour. If the node is biopsied and found to be tumour free, then the likelihood of nodal spread of tumour is very low. The SLN is identified in the operating theatre using a specially designed radiation probe and a blue dye. Assessment of patients with suspected lymphoedema. Identification of sentinel lymph node (SLN) prior to surgery. The length of the procedure, (1–3 hours) should be noted when organising a patient’s theatre schedule. If the patient has early morning surgery, the procedure should be arranged for the afternoon before. 4 x 0.1ml of 99mTc-nano-colloid are injected into the web spaces of the hands or feet. Images are taken imediately and after 2 hours. 2x 0.1ml of 99mTc-nano-colloid are injected in the periareolar region of the affected breast. During the waiting time, the patient is asked to massage the breast to encourage lymphatic flow. Images are taken 1 – 2 hours later. The position of the node/s is marked on the skin. 2x 0.1ml of 99mTc-nano-colloid are injected either side of the melanoma or merckle cell scar. Images are usually taken immediately after injection and approx. 2 hours later. SPECT/CT may be used for anatomical localisation. The position of the sentinel node or nodes are then marked on the skin. Meckel’s diverticulum is the most common congenital abnormality of the gastro intestinal tract, present in 2% of the population. It consists of a small pouch in the wall of the intestine, near the junction of the small and large intestine, made of the type of tissue found in the stomach (gastric mucosa). Gastro intestinal bleeding is the most common complication in the paediatric age group. 99mTc-Pertechnetate is concentrated by the gastric mucosa, therefore imaging of the abdomen following IV injection of pertechnetate should demonstrate any areas where there is increased tracer uptake. The Meckels scan is a simple, safe and noninvasive diagnostic procedure to show ectopic gastric mucosa, which is present in most cases of symptomatic Meckel’s diverticulum. The technique will only detect diverticulae with significant ectopic gastric mucosa. The patient should be fasted for at least 4 hours (2 hours for children). Following IV injection, Images are taken for approx. 30 minutes. Structurally, MIBG resembles norepinephrine and guanethidine. MIBG localises to storage granules in adrenergic tissue of neural crest origin. Uptake is proportional to the number of neurosecretory granules within the tumour. MIBG is labelled to Iodine-123, following IV injection the half-life of radioactivity in the blood is about 40 hours.123I-MIBG scans are an expensive investigation and require a lot of organisation between departments and the suppliers of the radiopharmaceutical. Approx. 2 week’s notice is usually required to arrange the study. Lugol’s Iodine (thyroid blocking agent) needs to be started 1 day before the Iodine-123 MIBG injection and should be continued for 3 days. 1 or 2 drops to be taken daily in milk. The Iodine-123 MIBG arrives from Australia on a Tuesday afternoon. The patient will have an IV cannula inserted ready for the injection to be given ASAP after arrival. The imaging is performed 20-24 hours later on the following Wednesday. This takes approx. 1.5 hours (including SPECT/CT). Infants and children will often need sedation or anaesthesia. Myocardial agents such as Sestamibi and Tetrafosmin are markers for viable, perfused myocardium. A perfusion abnormality on an exercise scan that returns to normal on a repeat rest study indicates reversible myocardial ischaemia. 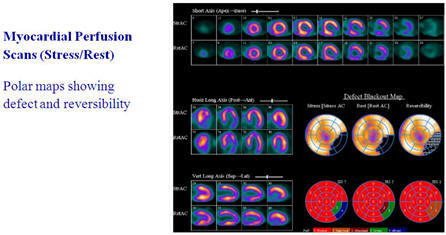 Myocardial Perfusion Scans (MPS) are useful in assessing the extent and severity of myocardial ischaemia. It is critical to correlate the results of ECG testing and clinical data with scan results. MPS aid in pre-operative evaluation by helping to determine the amount of scar versus ischaemia present. The scan is often used to assess the significance of an equivocal stenosis seen on angiogram and to triage patients into medical or surgical management programs. The MPS also provide valuable data on LV size, volume and LVEF. The greatest strength of MPS are their prognostic value. A negative MPS predicts a low risk and low annualised cardiac event rate of 0.6% per year for 3 years. Detection and evaluation of known or suspected coronary artery disease. Follow up of medical or surgical therapy of coronary artery disease. The patient should fast at least 3 hours prior to the Rest study and have only a light lunch before the Stress study. The patient should not have any food or drinks containing caffeine (tea, coffee, coke, chocolate) for 24 hours before the first study and until both studies are complete. The patient should withdraw from beta-blockers for 48 hours (from the day before the stress study, continuing until the end of the study). Nitrates and calcium channel blockers must be stopped for 24 hours before the study. Myocardial Rest and Stress studies take approx. 2 hours each. They are usually performed on the same day (Rest Study in the morning and Stress Study in the afternoon) but they can be on separate days if required. On arrival, an IV luer is inserted and ECG leads are attached. All metal items (including bra) must be removed from the chest area. There is a waiting time of approx. 30min between IV injection and scanning. Each scan takes about 20 minutes. The Stress study can be achieved by exercise bike, Persantin, Dobutamine, Adenosine or a combination of exercise and pharmacological stress. ECG recordings are made throughout the study and the injection is given after reaching peak heart rate. Radiolabeled tracers provide a functional imaging technique to identify neuroendocrine tumours. Currently there are several single-photon techniques available using either 123I-MIBG, 111In-DTPA-pentetreotide (Octreoscan) or 99mTc-EDDA/HYNIC-try3-octreotate. 99mTc-Tektrotyd 9HYNIC-[D-Phel, Tyr3-Octreotide]) is intended for identifying pathological lesions in which over expression of somatostatin receptors occurs (especially subtype 2 and, to a lesser extent, subtypes 3 and 5). 99mTc-Tektrotyd attaches to somatostatin receptors in tissues where, as a consequence of the disease, the cell surfaces contain these receptors in more than the physiological density. While this is an expensive procedure and has only a limited role in the assessment of these tumours, it can be useful in treatment planning. Sestamibi is actively taken up by parathyroid adenomata and has a slow washout from these lesions compared to normal parathyroid tissue. The scan is normally done in conjunction with a technetium thyroid scan because thyroid adenomas may also show increased retention of Sestamibi. 99mTc-Sestamibi Parathyroid imaging can be useful in the preoperative detection and localisation of parathyroid adenomas in patients having proven hyperparathyroidism (sensitivity of 90%). 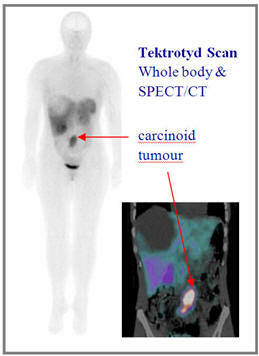 SPECT/CT provides topographic correlation with adjacent anatomical structures; this imaging technique can identify a single adenoma, multiple adenomas, ectopic adenomas or hyperplastic glands. Localisation of suspected parathyroid adenoma. It is not a screening test for hyperparathyroidism. A Thyroid scan is usually performed a few days before the Parathyroid study unless the patient is on Thyroxine or has had recent IV contrast. Parathyroid scans involve early imaging including SPECT-CT soon after IV injection, this takes about 45 minutes. Later Parathyroid images are taken approx. 2 hours later. DMSA has a high affinity for proximal tubules and produces superb images of the renal cortex. Renal scanning can readily detect the number, size and position of any functioning kidney. The study is very sensitive in detecting any renal cortical abnormality and exceeds that of an IVU or ultrasound. It is considered the gold standard for screening for cortical scars. Assessment of children with recurrent UTIs. Scan at least 4 months after last UTI unless on prophylaxis. Scanning begins about two hours after IV injection of 99mTc-DMSA and takes about 20 minutes. A longer time between administration and scanning will be necessary if renal failure is present. The most widely used radiopharmaceutical is 99mTc-MAG3. It is excreted by both glomerular filtration and tubular secretion and can be used in patients with renal failure and in patients allergic to IVU contrast agent. The Renogram can be used to evaluate renal perfusion and renal obstruction. Differentiation of obstructive vs nonobstructive hydronephrosis can be made by initiating a brisk diuresis with Frusemide (Lasix). In an obstructed hydronephrosis, washout of activity does not occur, while washout of activity occurs if obstruction is not present. Similarly, in a nonobstructive system cortical transit times should be essentially normal. On arrival, adults are given 1 litre of water to drink over 30 minutes. An IV injection is given and continuous images are recorded for the next 30 minutes. A diuretic is administered during the scan. Thyroid scanning is a well established test for evaluating many thyroid diseases. The scan helps to classify the goitre into diffuse or multinodular goitres. Thyroid nodules can be classified into those that concentrate tracer (hot nodules) and those that do not (cold nodules). Distortions and extensions of the gland beneath the sternum can be seen. The thyroid scan aids in the evaluation of hyperthyroidism by demonstrating findings that differentiate Graves’ disease, toxic adenoma, toxic multinodular goitre and thyroiditis. Evaluation of goitre and nodules. No thyroid hormone (Thyroxine) for 6 weeks prior to the scan, a patient can be scanned if they have been on Thyroxine for 5 days or less. No Iodine based CT contrast 4 weeks prior to the scan. If the patient is on Amioderone, refer to Thyroid physician. Kelp, Chinese herbal remedies or iodine/potassium iodide in multivitamins need to be stopped for at least 3 weeks if 200µg or more. The scan takes approx. 10 minutes to complete. My doctor has referred me/my child for a Nuclear Medicine scan, what is the waiting time? For most scans the waiting time is only 2-3 weeks however, if the scan takes a long time or is more specialised, the waiting time could be longer. Kidney scans following a Urinary Tract Infection are booked 3-4 months after the UTI according to accepted clinical protocol. If you are concerned and have not received an appointment within 2 weeks, phone the department to check that we have received the requisition from your doctor. Why do I have 2 scan appointments? 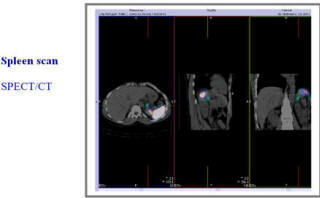 For some scans, the radiopharmaceutical takes time to travel through the body and concentrate in the organ of interest. At the first appointment you will receive an injection and depending on the type of scan, pictures may also be taken at this time. At the later appointments time/s on the same day, only pictures will be taken. Specific appointment letters are sent out which give details of any special preparations. Please read them carefully. For most scans you can eat and drink normally and keep taking your usual medication. Phone the department. It is usually advisable to delay the scan until after pregnancy unless there is a clinical reason for doing otherwise. Breastfeeding mothers will be given instructions and advice depending on the type of scan they are having, as only some radiopharmaceuticals are excreted in breast milk. Can I bring a friend, relative or carer with me? We would welcome this as long as they are not young children or a pregnant woman. This is a compound which is usually made by mixing a radioactive isotope with a non-radioactive formula. Different compounds are used to study different parts of the body. Over 90% of scans use radioactive 99mTechnetium which has a physical half-life of only 6 hours and an even shorter half-life in the body. Does the radiopharmaceutical have any side effects? The injection will not make you feel any different and side effects are very rare. You will NOT glow in the dark! NO. The radioactivity used has a short life and is quickly eliminated from the body. Even though the radioactivity is injected, most Nuclear Medicine scans involve the same amount or less radiation than that from x-ray procedures. In Nuclear Medicine, every possible precaution is taken to minimise the radiation exposure to as small an amount as possible while still obtaining the needed diagnostic information. All babies and children under 18 years old are weighed on arrival and the dose of radioactivity is calculated according to weight. How long does the radiation take to disappear from the body? This will depend on the type of scan. In some cases part of the radiation is excreted in the urine and therefore leaves the body quite rapidly. Radioactive 99mTechnetium decays to a non-radioactive form over a period of 2 days, after 24 hours (4 x half-lives) there will only be very small quantities remaining. Are there any precautions to follow after the injection? While we do not consider the radiation emitted a hazard, we have the responsibility to keep radiation exposure to others as low as reasonably achievable. For some scans, adults are advised to avoid close continuous contact with children and pregnant women for the rest of the day. It is safe to share a bed with your partner on the night of your scan, unless otherwise directed. Children are advised not to sleep in the same bed as other children and not to go back to school, kindergarten or crèche until the day after the scan. It is preferable to use disposable nappies for the day of the scan and at home normal hygenic measures are sufficient. Remember to wash your hands. There are no restrictions for handling pets. What will I need to remove for the scan? You will not need to remove all your clothing. Usually shoes and metal objects around the area being scanned are all that is necessary, for example you will not need to remove your rings or watch unless the scan is of your hands and wrists. If you have a prosthesis, we may require you to remove it. You will need to be able to roll up your sleeve to the elbow for the injection. The technologist will tell you exactly what is required before you start your scan. I have a pacemaker, metal hip/knee/screws/plates, hearing aid. Will this cause a problem with the machine? NO. It is different altogether from an MRI scans, however please let the scanning staff know if you have a metal implant. Will I be able to get onto the imaging bed? The beds are about 40cm wide and hold patients up to 180 kg. Although the beds can be lowered, anyone who is immobilised in a wheelchair will need to be able to transfer themselves across. If you think there may be difficulties please phone the department before the scan. I am claustrophobic, how close will the camera be? You will not be enclosed and only certain types of scan will require the camera near the head e.g. bone scans of the whole body or upper body, thyroid, cardiac, lung and brain scans. You will not be left alone, a technologist and friend/ relative can stay close by. The camera is quiet and you may listen to music or wear eye shades if this helps. You are welcome to bring your iPod, MP3 player to listen to during the scan. Phone the department before the procedure if you wish to discuss your concerns with staff. How will my child keep still during the scan? We use velcro bands to keep younger children still during the scan however movement is not totally restricted. The camera has a DVD player attached and we have a limited selection of DVDs for children to watch while they are being scanned, though parents are welcome to bring along any favourites. We also have a limited selection of books and toys. Distractions such as reading a story, watching a DVD or listening to a music tape are usually effective in reducing movement. You may stay close to your child during the scan. Babies may be more settled if they have the comfort of a pacifier, bottle or toy. What happens to the results of the scan? A specialist doctor trained in Nuclear Imaging will report the scan and forward the results electronically to the doctor who requested the scan. In most cases the results are available within 24-48 hours.